Heading out on a Moroccan retreat is an experience of a lifetime. This beautiful kingdom, at the meeting point of Africa and Europe, is ideal for experiencing the peace and tranquillity that only a true retreat can bring. If you want to go on a beach retreat, Morocco has a coastline on the Atlantic Ocean and the Mediterranean, with sand that varies from golden to pure white. In the south the seemingly endless expanse of the Sahara desert awaits, while you can get away from the sub-tropical heat high in the snow-capped Atlas Mountains. To cater for this a fine industry has grown up, providing peace seekers with a range of special stays to leave them relaxed, refreshed and ready for anything. 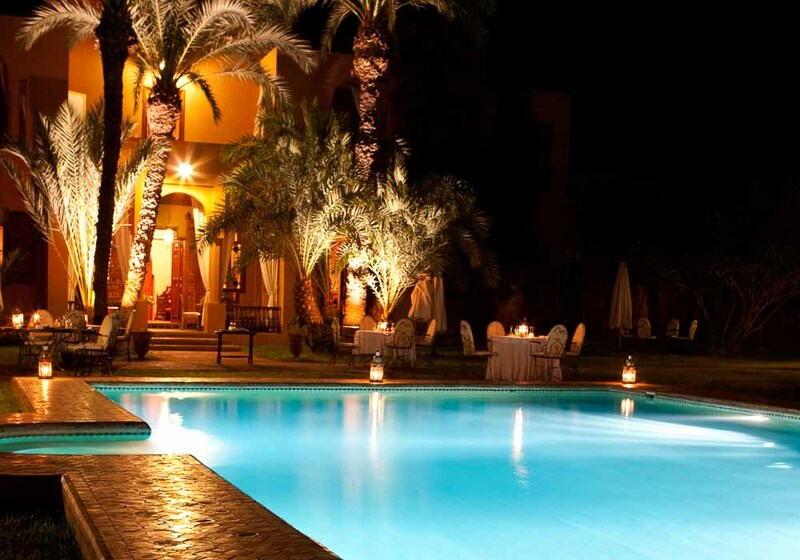 How about staying in one of the city’s many excellent riads – lounging by the pool or having a drink on the roof, overlooking the city and the nearby Atlas Mountains? If you’re looking for somewhere to go to get away from it all, heading to this town on the edge of the Sahara desert will meet your needs perfectly. Far away from the hustle and bustle of the big cities, with the desert on your doorstep, Merzouga is a place where you can take a step back and reconnect with yourself. Head to coastal Essaouira and you’ll find a city that has beguiled countless visitors over the decades with its beautiful seaside location and exotic buildings. It’s a place where you can withdraw from the trials and tribulations of everyday life, putting them aside while you indulge yourself in some restful treatments. Tangier has long been a retreat for some of the world’s most creative people. William S Burroughs, Henri Matisse and Yves Saint-Laurent are just a few of the people who have all found peace, solace and inspiration in this charming city at the tip of Africa. Retreat seekers can stay in one of the many idyllic riads that are in the city, sit on the rooftop terraces or spend time in the famous coffee shops as countless writers and poets have done in generations past. For a more relaxing time on your retreat you can head to one of Tangier’s many spas and melt under their blissful beauty treatments.